Safe Top Picks from Absolutely Clean! We believe in promoting and using naturally safe and EFFECTIVE products, and we want to share them with you! Our mission at Absolutely Clean is very similar to Shaklee. To provide a healthier life for everyone and a better life for anyone. We do it by making natural products that are so exceptional, you just have to tell your friends. Every product that goes into every Shaklee bottle is designed to improve health, work without compromise, and be gentle on the planet. When you work with Absolutely Clean, you will know three things to be true. Our products are always safe. They always work. And they are always green. Learn how YOU can improve your health and your life. Please visit our Shaklee Distributor website to order the products we use and love in making a clean, healthy home! Interested in purchasing products? Contact us at Absolutely Clean and we would be happy to fill your order and help you get your home clean safely! Heaven’s Best’s unique low moisture cleaning process allows your carpet to be dry within one hour after cleaning. This means you don’t need to wait hours or even days for your carpet to dry. Our exclusive water based cleaning solutions have been engineered to gently remove soil and stains without damaging today’s delicate carpet and upholstery fibers. They are safe, convenient, and economical. After Heaven’s Best cleans your carpet or upholstery it will look, smell, and feel great! 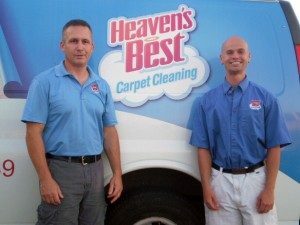 While Heaven’s Best is a worldwide leader in carpet cleaning, upholstery cleaning, and floor cleaning franchise opportunities, I’m your local Heaven’s Best owner and operator. I live right here in our community, the Cedar Rapids/Iowa City Corridor. I’m your neighbor, and I’m committed to providing quality service at an affordable price. 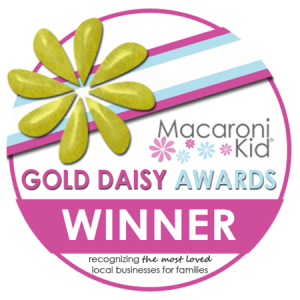 WE ARE MODERN NATURE – Our mission is to help people everywhere enjoy beautiful, healthy, fulfilling lives through our exceptional, naturally based products, a fun and rewarding business opportunity, and a culture of family, service, and gratitude. Absolutely Clean Owner Stephanie Nesseth shares her thoughts, “I’ve just began this journey and wanted to make sure it was what it was.. so I’ve used it for months now and my hair is growing for the first time in YEARS!! My daughter’s curls are back and soft and shiny .. amazing stuff! !” Follow the link below for a list of Monat naturally based products and purchase yours today!